Enhance your listening experience at home or out on the town. The Sennhesier Set 900 gives you crystal-clear stereo sound in concert halls, at theatres and at home. Simply plug the base transmitter into the audio-out jack of your TV or audio source and use the headset to amplify sound at home. Or bring the headset to any facility that is equipped with infrared technology, for use outside your home. 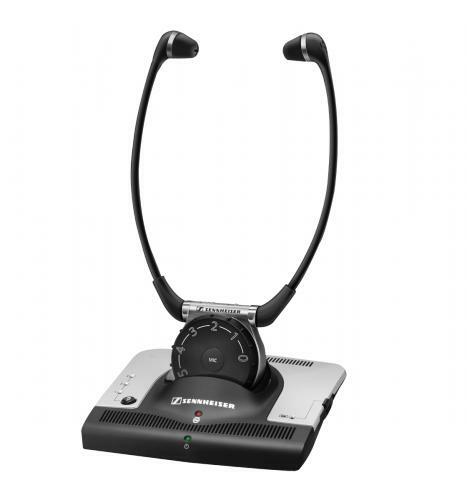 Two switchable microphones on the receiver, which pick up and amplify surrounding noise. Light weight under the chin headset. In order to read a PDF file, you must have Adobe Acrobat reader installed on your computer. You can download the latest version at Adobe website.